淺談「黐手」What is Chi Sao to you? On my journey of learning Wing Chun, I have spent almost all of my time on Wong Shun Leung/Gary Lam and Moy Yat systems. However, I started out with the Leung Sheung lineage. (For those who don’t know about Leung Sheung. He is the first disciple of the Grandmaster Ip Man in Hong Kong.) Also, I had opportunities to learn other Wing Chun, including non-Yip Man system, as well. Through this path, I have learned to keep an open mind and to listen to different points of view or different interpretations of the art. Then, analyze what I heard and absorb what are useful or what mak sense to me. The reason that I’ve mentioned above is because the subject of Chi Sao is probably the most divergent and controversial one. Chi Sao is a very common practice in almost all Wing Chun schools, yet it seems everyone defines it differently and practices it differently. Some treat it as a sensitivity drill. Some use it to simulate real fights. Some people insist when practicing Chi Sao, both partners should be cooperative with each one. But, some have an opposite view on this. To me, as long as it is taught by a qualified coach or Sifu, they are all probably correct. But, what you get out of Chi Sao has a direct link to how you practice it. My current view on Chi Sao is it is a very flexible training platform; its intensity and training focus can be adjusted depending on what phase of training the student is in. You can be 100% cooperative with your training partners or you can go as hard as you want with a resisting partner to make it as close to real combat as possible, if you both have agreed to before the practice and as long as it is done under the prerequisite of not hurting each other. Recently, I heard some Wing Chun people even think Chi Sao isn’t very useful and claim we should skip Chi Sao and go right into Gor Sao or sparring. That’s an interesting thought. Now, let’s think about it for a second. For us who practice Wing Chun would all agree it is a very intelligent martial art that is simple and direct. So, why the creator of Wing Chun invented Chi Sao, if it has little or no use to real combat? Remember hundred years ago, our ancestors practiced the art to overthrow the Qing Dynasty, why would they want to waste their time on Chi Sao, if it is not important? In many martial arts, such as karate, after learning the forms and their applications then the students can go right into sparring, if he or she want to learn how to fight with the art. Why not do the same thing in Wing Chun? 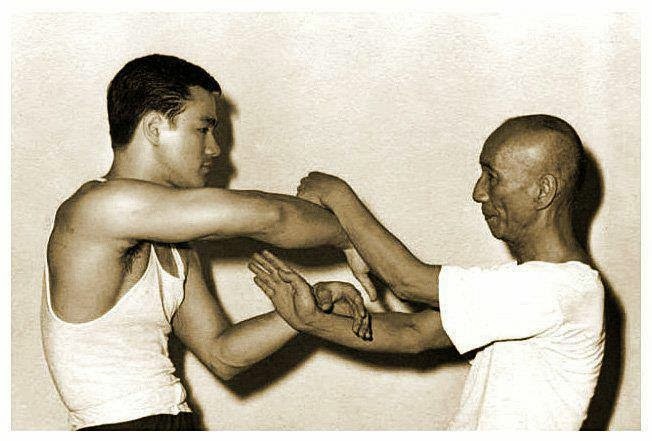 Lastly, by all counts, the first generation student of the Grandmaster Ip Man mainly practiced Chi Sao besides the forms. However, they could go from Chi Sao training to challenge fights or street fights without any problems, why?